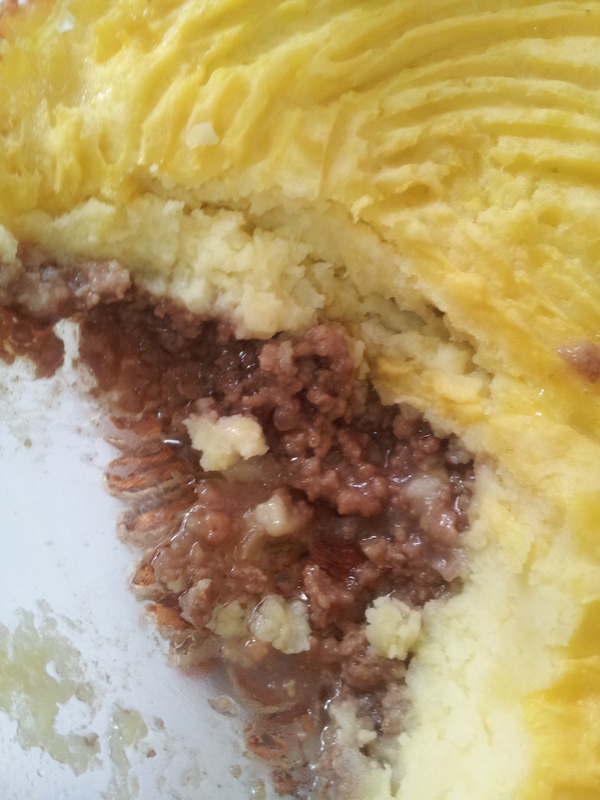 Shepherds Pie | My Cooking Diaries "CooklikeCecilia.com"
Heat the oil and saute the onions until soft and golden. If using mushrooms, slice and saute alongwith the onions. Add the meat and continue cooking for 5 to 10 minutes till it changes color, while stirring well.. Gradually add the stock. Sprinkle in the flour and cook for a minute. Gradually add the stock. Continue stirring over a low heat for 5 minutes. Season with worcestshire sauce. Place the mince in a oven proof dish. Add half the egg to the potatoes and mix well. Place on the meat, mark in lines with a fork and brush with remaining egg. Bake in a preheated moderately hot oven (200 deg C/400 deg F) for 40 minutes. Cecelia love the step by step illustrations in your recipes. This looks yummy. Cheers!! Keep it going!! Thank you Manoela, tastes yummy too, childen’s favorite!